Boston Handmade: Save the Date! 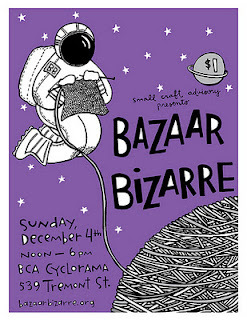 Boston Handmade is at Bazaar Bizarre December 4! Save the Date! Boston Handmade is at Bazaar Bizarre December 4! You'll also be able to purchase a Boston Handmade tshirt from us that day. Come see us and other talented artists that afternoon, you don't want to miss this super fun event!